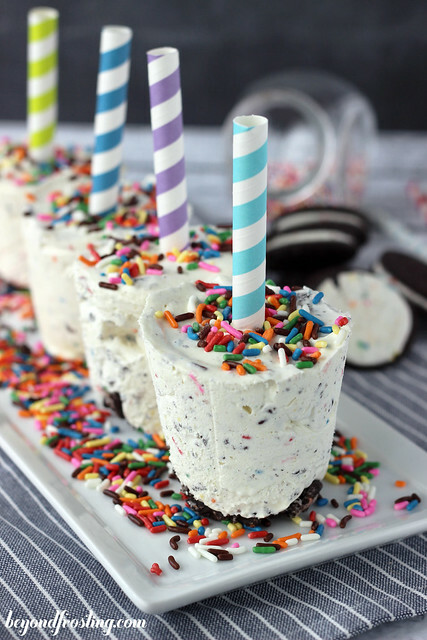 I don’t know about you but I just could just eat ice cream forever and ever. There are so many amazing flavors, it’s hard to pick just one (although Mint Chip will always be closest to my heart). Since I have been making homemade ice cream, I can create flavors like this No-Churn Cake Batter Cookie Dough Ice Cream. When I first heard of Cold Stone, I was in complete awe over the fact that you could create your own ice cream flavor! Granted I did live in the home state of Ben and Jerry’s, we didn’t have access to such places like Cold Stone. I always wanted to be a fan of cake batter ice cream, but in most cases, the flavors were far too sweet for me. 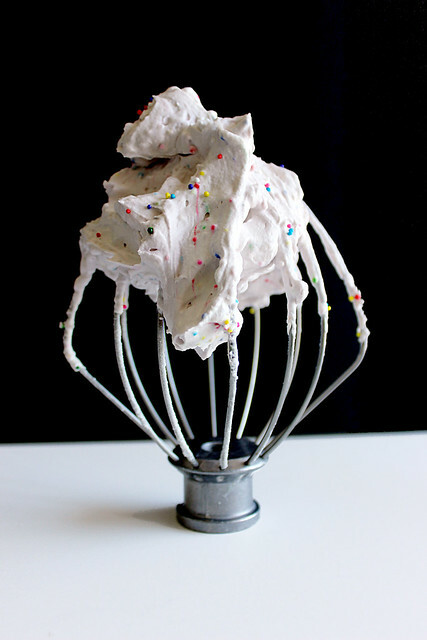 So I decided that I needed to create my own cake batter ice cream at home. I like this ice cream because it isn’t overly sweet! Better yet, I added cookie dough, because who doesn’t love cookie dough? Well my brother doesn’t but that is a story for another time! I must say that this recipe is LOADED with cookie dough. 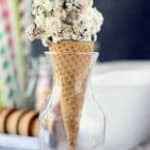 This ice cream base is a “no-churn” recipe, meaning that it doesn’t require an ice cream maker! You simply mix together the base ingredients (sweetened condensed milk and Cool Whip), and then add in your cookie dough and freeze. Easy-peasy. I find that homemade ice cream keeps a lot better if you have a good container! This is my favorite Ice Cream Storage container . I bought mine from William Sonoma, but you can find it elsewhere too! The cookie dough isn’t your average cookie dough, it is also cake batter flavored! 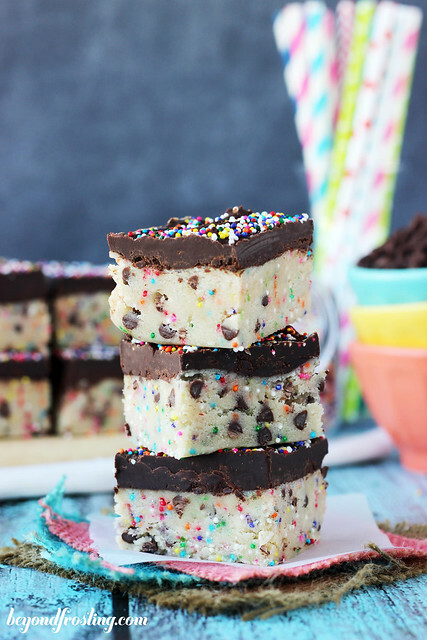 It is the same recipe I used for my Deep Fried Cake Batter Cookie Dough Bites and these truffles and these cookie dough bars. All it takes it a little bit of DRY cake mix added to the batter, some sprinkles and butter extract if you have it. 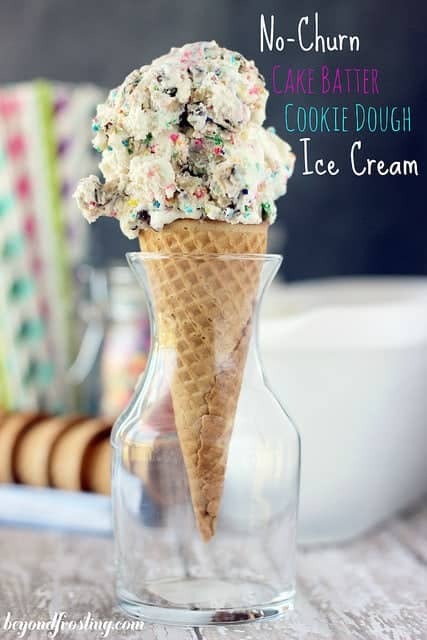 As if cookie dough wasn’t good enough on it’s own, try resisting this cake batter cookie dough! This ice cream will need additional time to freeze since it isn’t churned, I suggest 4-8 hours. The longer you freeze it, the better in my opinion. However, I also take it out of the freezer at least 15 minutes before serving so that it will soften slightly before I scoop it! It’s a bit dangerous because I tend to just eat it straight from the container with a spoon! Enjoy! 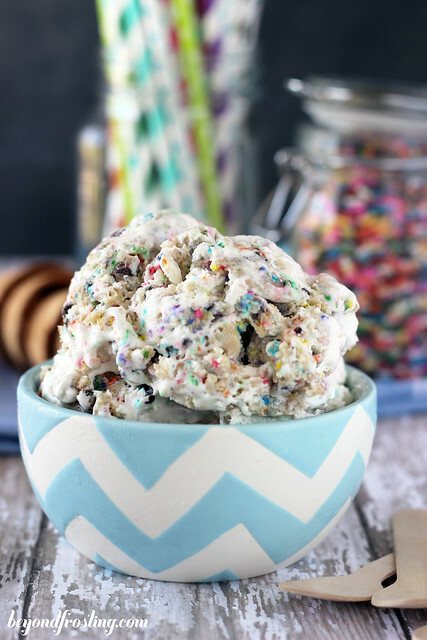 A no-churn cake batter ice cream with cake batter cookie dough. Allow butter to come to room temperature or microwave for 10-15 seconds. Roll dough into balls, about 1 teaspoon for each. Set aside. Gently fold cookie dough bites into ice cream batter. 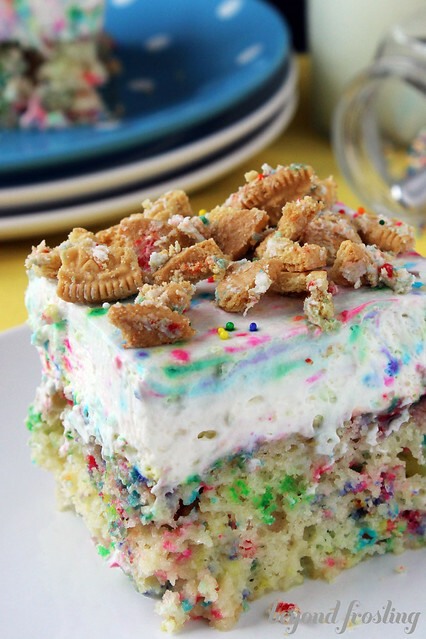 You can also alternate layers of the ice cream base with layers of cookie dough in your freezer container. Freeze until desired consistency, suggested 4-8 hours. Hi! This looks amazing! 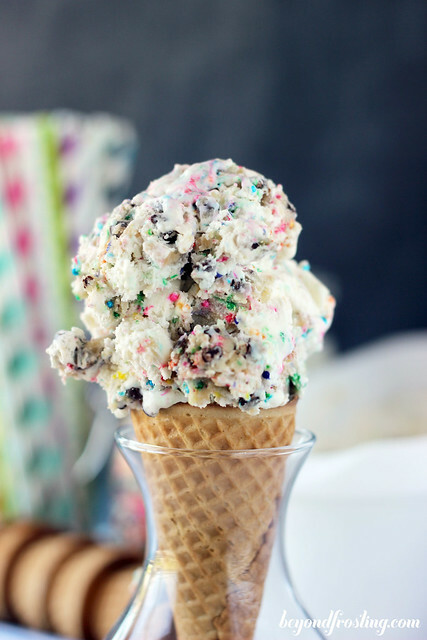 Can I link back to your recipe in my ice cream round up post next week? Sure Logan, Thank you for asking, but please do not repost my recipe. Thank you! 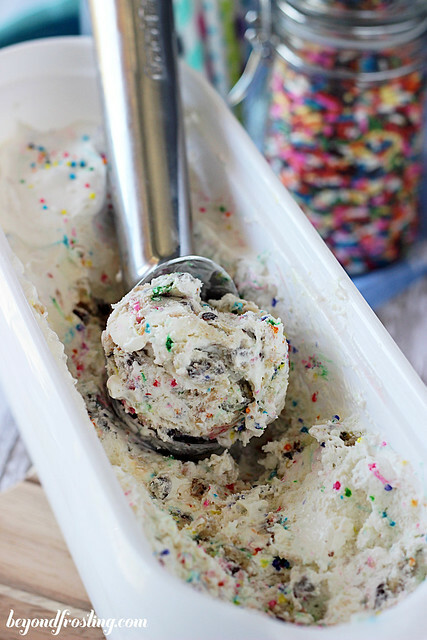 Cake batter cookie dough sounds like stuff dreams are made from. Loaded with butter, sugar, sprinkles, and magic. If I could marry this ice cream, I certainly would.